What's up with these sun-diving comets? Comet Lovejoy skimmed across the sun's edge about 140,000 km above the surface late Dec. 15 and early Dec. 16, 2011, furiously brightening and vaporizing as it approached the sun. 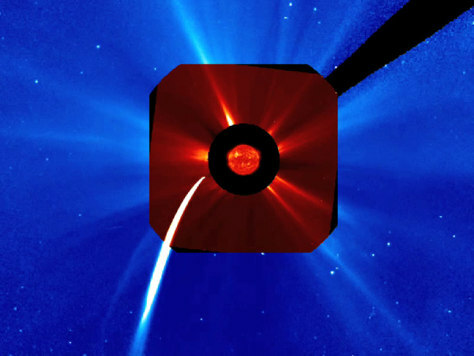 This SOHO spacecraft image shows the comet during that time.